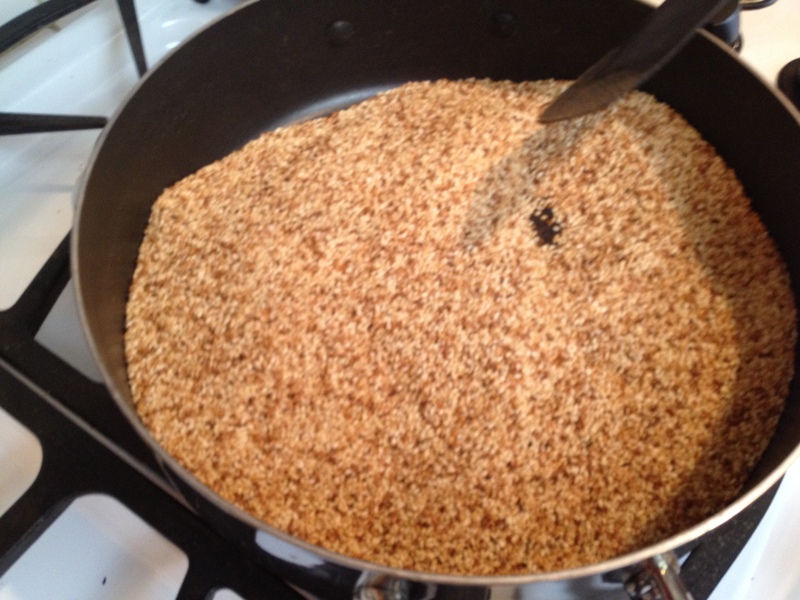 “Bulicunio” – “Susam” – a wonderful confection that combines the rich nutty flavor of sesame seeds with a honey syrup creating a taste and texture treat for the palate. 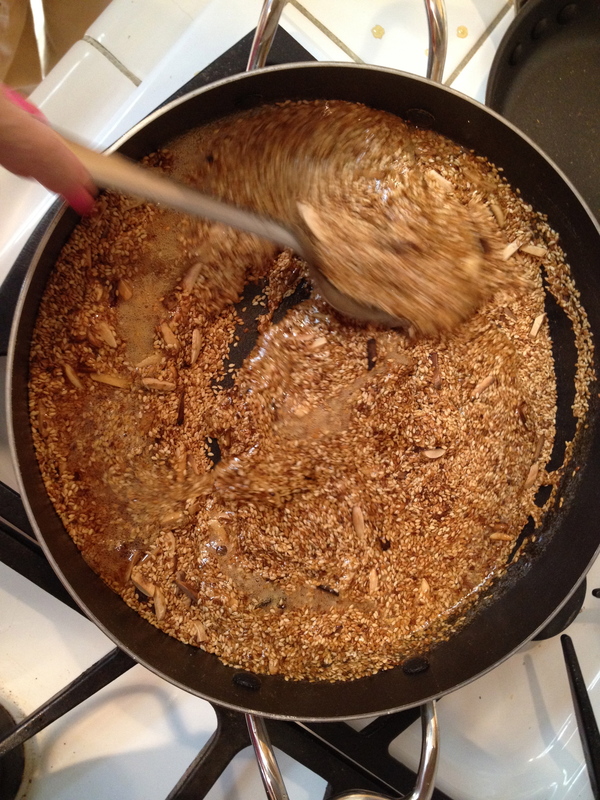 My Mother has made boulicunio for both our sons’ brit milot – and it has been a favorite of my husband’s. Usually around Passover, it becomes available in stores in pre made, individually wrapped pieces and I buy them for him. 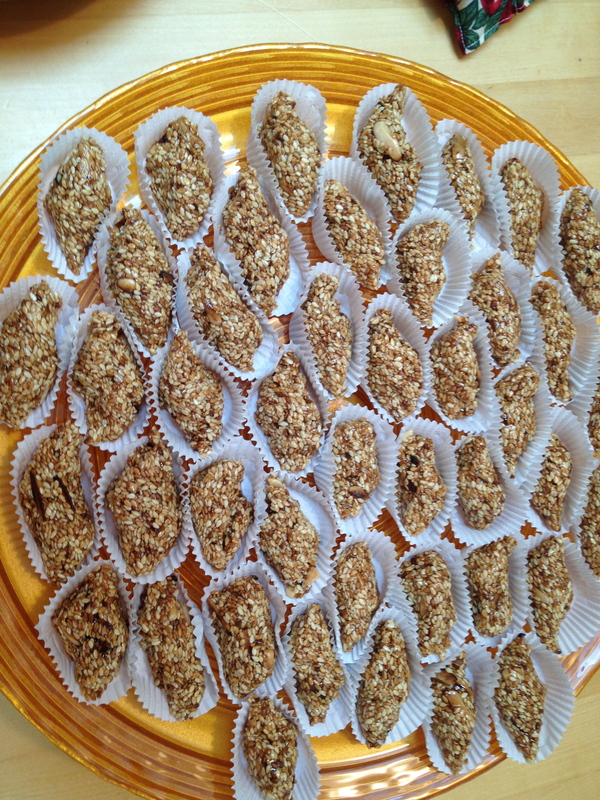 Inspired by a post from Stella Hanan Cohen ( “Stella’s Sephardic Table”), I asked my mom to make some. Starting with a recipe from Aunt Rosha Benveniste Solam (z’l) we tweaked it somewhat, adapted for Passover, and set out to make Boulicunio. 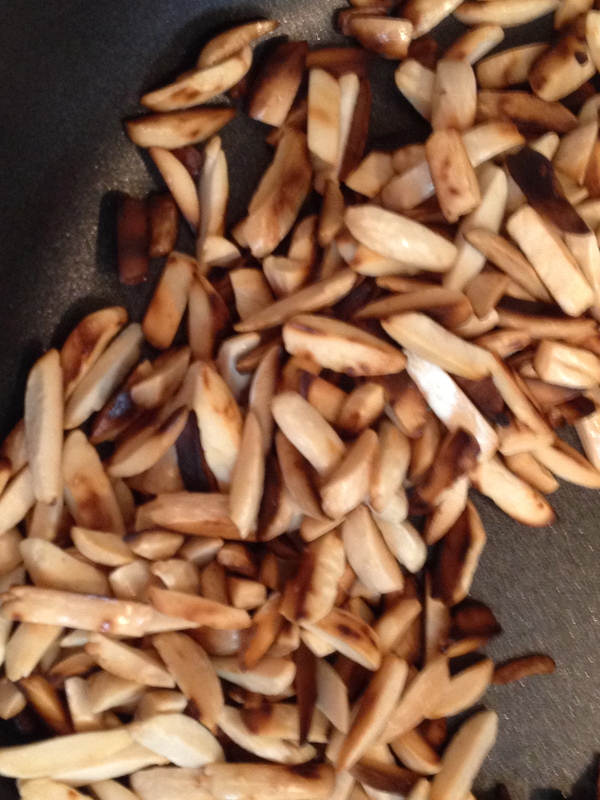 Toast sesame seeds in frying pan over medium flame until golden brown. 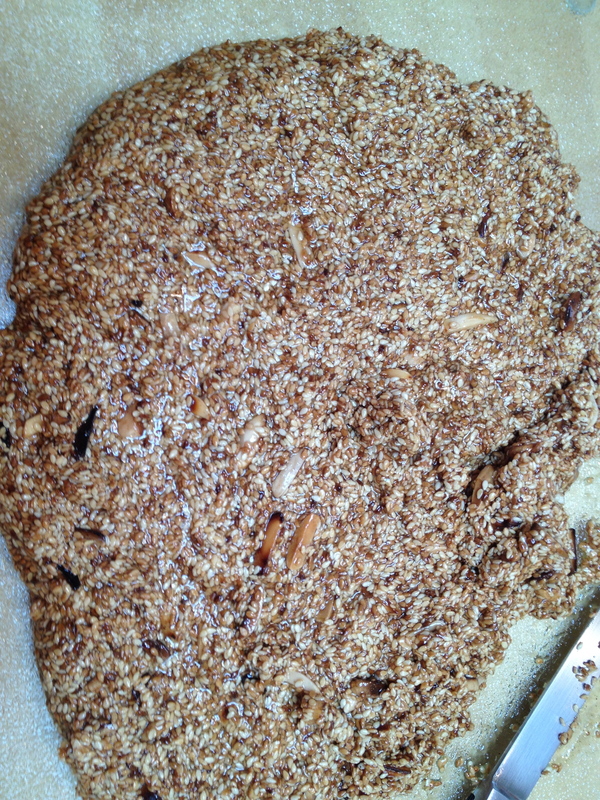 Toast the almonds and add them to the sesame mixture. In a separate pot, mix sugar and water. Bring to a boil. Stir to keep from burning. It will foam and begin to bubble. Add honey and keep stirring. 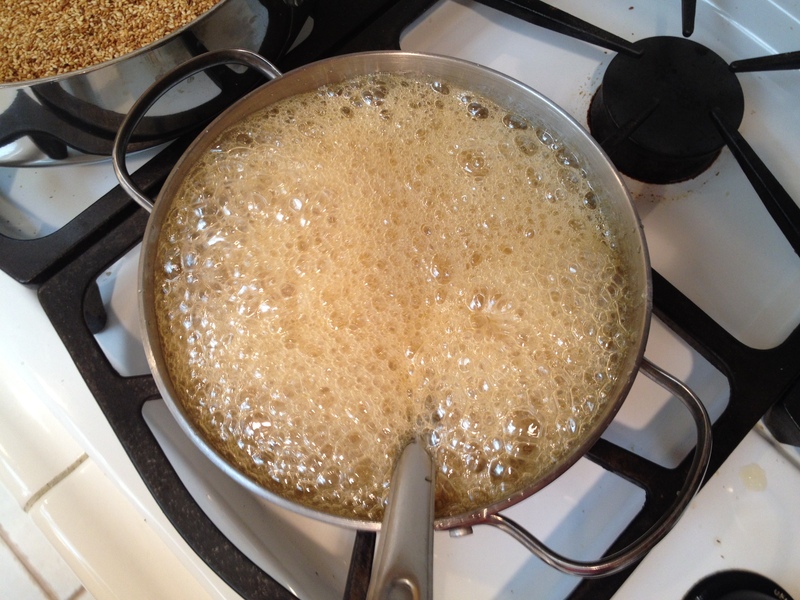 Syrup is ready when….well, when a small amount dropped into a cup of cold water forms a ball. 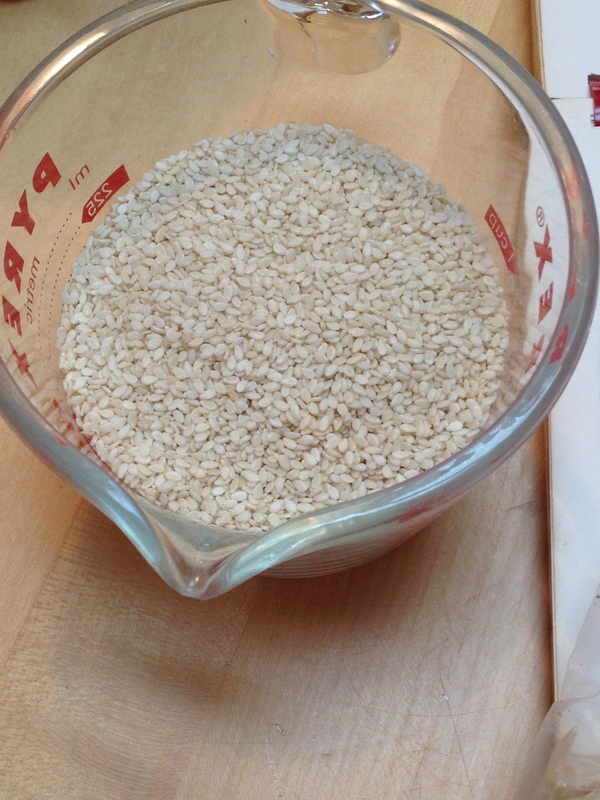 Add syrup to the sesame mixture. Pour mixture onto a lightly greased work table or cutting board. When cool, roll small batches into 1 inch ropes. Can be made in advance and stored in an airtight container. 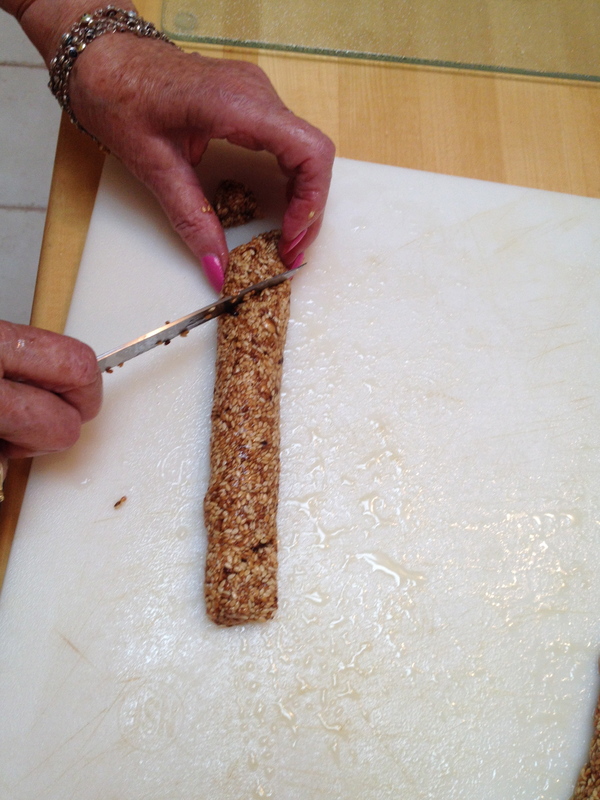 A taste and texture treat! Give them a try and let us know what you think. Enjoy this time of preparing for the holiday and sharing special foods with family and friends. 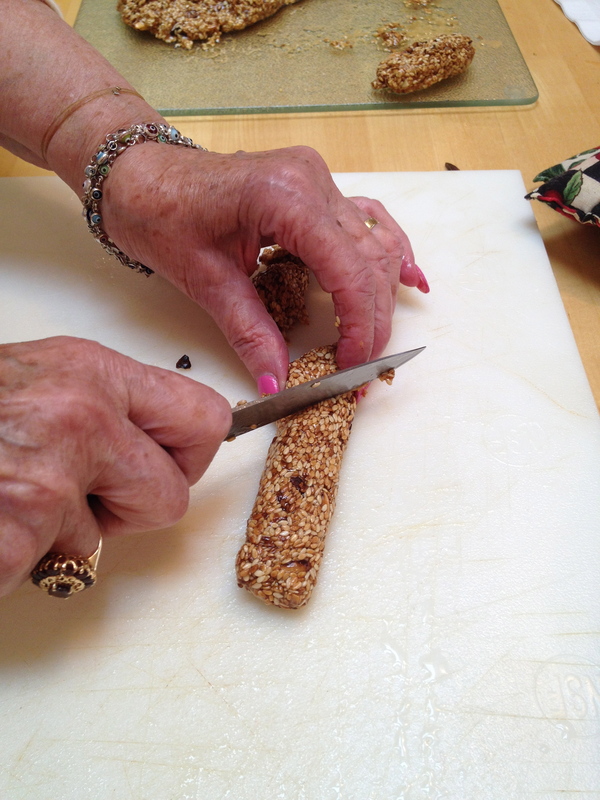 Pass along family traditions – create new ones. Always cook with love!